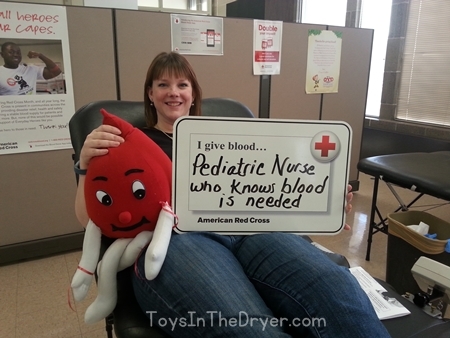 Every two seconds someone in the U.S. needs blood. More than 41,000 blood donations are needed every day. March is American Red Cross month. As a Red Cross Minnesota Social Media Advocate, I was given the chance to tour the North Central Blood Services building. 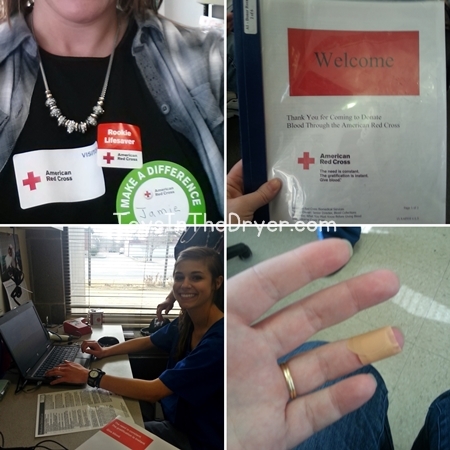 I donated blood (for the very first time!) and learned what happens to the blood after it is donated. It was fascinating and I’ll take you through the process! First you’ll decide to donate blood. I hate needles so this was my first time donating. 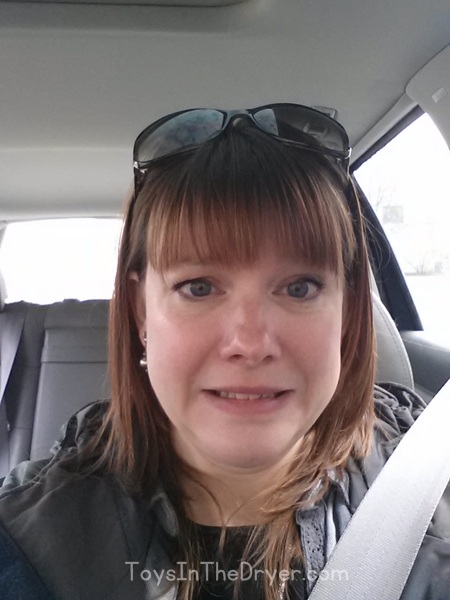 This is what I looked like on my way to the donation center. You’ll be asked to read a packet with all the rules to blood donation. It lays out who can and can not donate based on medications you take, places you’ve lived, health history, and more. There are a TON of rules for donation to make sure it is safe for both the donor and recipient. The packet was actually quite interesting. If you still think you are eligible to donate after you’ve read the packet, you’ll be brought to a room for a health screening. There you will get your blood pressure and heart rate checked as well as a finger poke to check your hemaglobin and you’ll answer some health history questions. If you pass all that, you’re on to donation!! From this point on, you’ll be asked your name about 50 times (at least that what it seems like). That’s to make sure that the donor number on the blood matches you. 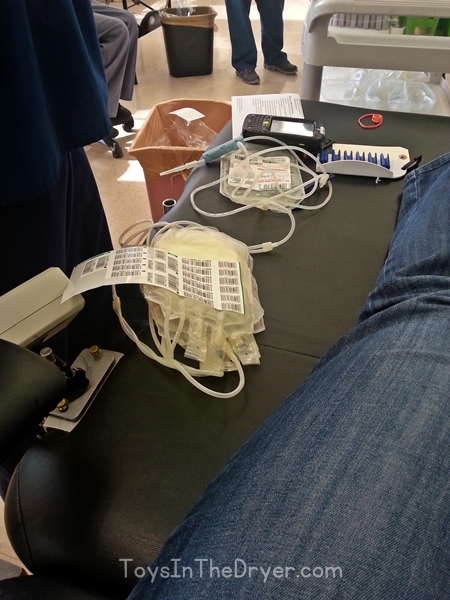 Everything that touches your blood is labeled with your donor number bar code. I didn’t look at the needle that they put in my arm but I know it was quite large. I’m not going to lie…it hurt. It hurt a lot when the guy put the needle in. I have weird veins though and he had a bit of a hard time getting it in. For most people, it will feel a little worse than getting your blood drawn at the doctor. Buddy the Blood Drop (in the photos below) helped to both calm my nerves and ease the pain as I squeezed him quite hard! Once the needle is in, it is EASY PEASY, lemon squeezy. Really, it is. In fact, it’s kinda some of the most boring 8-10 minutes of your life. Bring a friend to chat with because it’s hard to look at your cell phone with one hand while lying flat on your back. Yup, 8-10 minutes is all it takes depending on how fast your blood flows. At this center you lay flat on your back for the donation. I’ve seen some that have you sit reclined. Once your blood bag is full, they’ll put a fancy pressure dressing (which you can take off after a couple of hours) over your needle site and have you sit up for a few minutes to make sure that you don’t get dizzy and pass out. Once given the all clear, you’ll head over to the canteen for some much needed carb, I mean energy, reload. That’s Scott from ScottsDiabetes.com, a fellow Red Cross Social Media Advocate and donor who let every one know that even diabetics can donate blood! You’re done!! 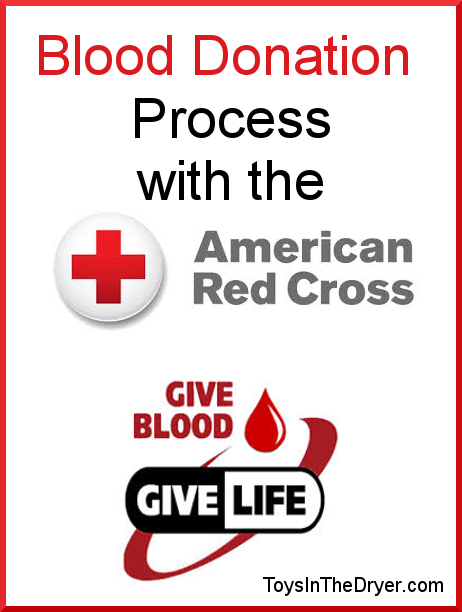 For more tips on blood donation, see Red Cross’s tips. Ok, this post is long enough. 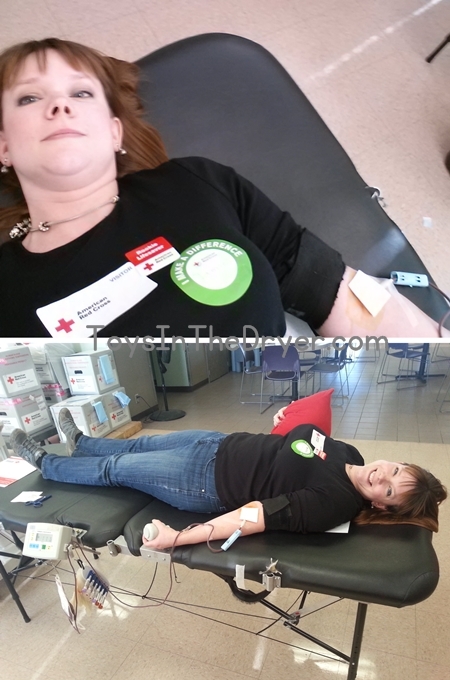 Check out this post to see what happens to your blood once it’s donated. One last thing…this is NOT normal but I thought I would share anyway as it was part of my experience (and I want to be honest about the whole thing). 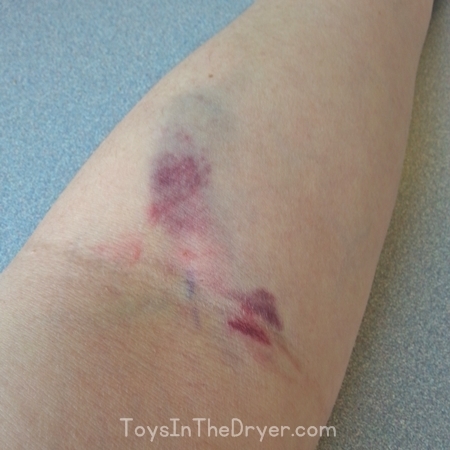 While a lot of people will get a bit of a bruise at the needle site, this is what mine ended up looking like…will it prevent me from donating again? Absolutely not! I donate every year and while it used to be scary now it just feels normal. I bruised like you did one time but since they I’ve had people who do a really good job at drawing. I haven’t donated in a while but I’m due to donate. My husband does it every couple of months. But I do bruise very badly! I really admire people who donate blood. My best friend does so regularly. I did it once when I was in college and had an awful experience. Someday I might try again, since I know how important it is. Great on you donating blood frequently. I haven’t donated in a while too. Oh man – that is a nasty bruise! I am one that gets squeemish, but I appreciate those that donate. When I was pregnant with my first son, my husband was in the military and they drew 8 vials of blood every time I went in. 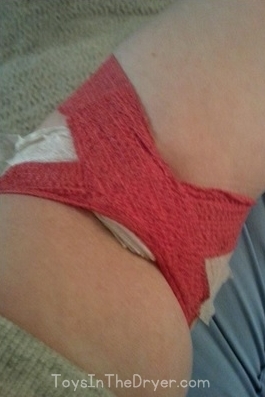 I learned then how to deal with getting blood drawn (don’t look and ask them not to tell you when they’ll poke!). But I still have a hard time with it. Needles make me to squeamish! However, I admire anyone who donates blood. I’ve never been able to donate unfortunately, but I so admire those who can do it. I was told I don’t weigh enough. We had an extended family member who was sick and always need blood. So in honor of him we always would go donate. He has passed away now and I haven’t donated in a long time. But reading your post has made me want to go and help out again! 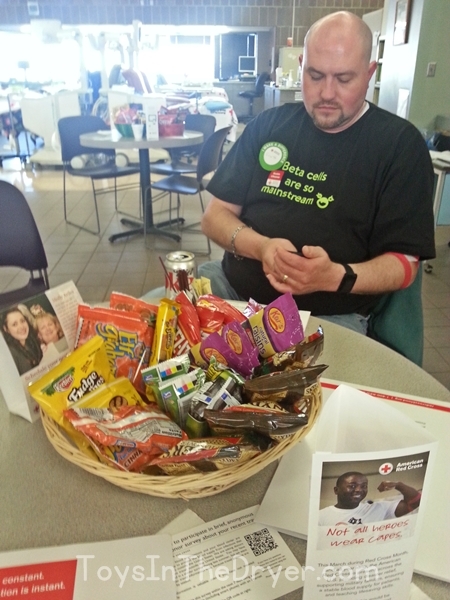 I organize and carry out a blood drive twice a year at my place of employment. Your donations get used usually within 30 days that is how badly they need the donations. I have a hard time NOT donating. Esp. when I know it can save a life. What a wonderful thing for you to do! I have never donated blood but I would like to. It’s the whole needle thing that stops me dead in my tracks. I’m a huge baby when it comes to needles, even the little ones that I *know* don’t hurt. That is awesome that you donated my dad has the universal type and he donates as often as they allow. Such a worthy cause. Blood donation is so important. Thanks for sharing! I’ve never been eligible to donate due to medication I’m on but kudos to those that can. When I did my phlebotomy training I was always amazed at the size of the donation needle and a little relieved I had a reason. It’s a BIG needle. So worth the cause! You could have just saved a life! I have donated before. Pretty neat process really and very nice staff. Super duper proud of you, J! We rookie blood givers totally rocked it.